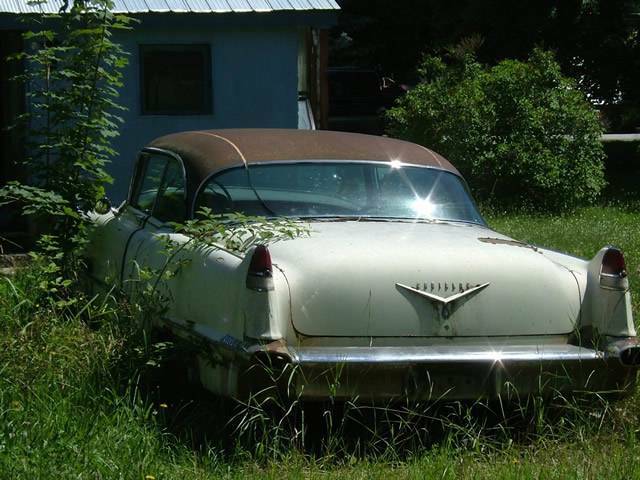 1956 Cadillac Photo Picture Classic Cars for sale & Classifieds - Buy Sell Classic Car & Classic Truck Classifieds. 1956 Cadillac Nice old picture sent in from British Columbia, Canada of a 56' Cadillac "rusting away". How much for caddy. Ed. gotta love those tail lights!! 55pickup, I couldn't agree with you more! I got that idea ten years ago but no one listens to me! I know where one very similar to this is sitting. E-mail me for more info. that guy should pull it out and restore it! WOW~ It's not that bad!